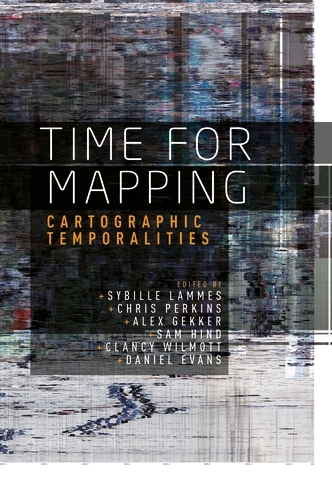 Fresh from the press, this interesting edited volume by colleagues Sybille Lammes, Chris Perkins, Alex Gekker, Sam Hind, Clancy Wilmott and Daniel Evans, called “Time for mapping: Cartographic temporalities”. I have a chapter in the book called “From real-time city to asynchronicity: exploring the real-time smart city dashboard”. In this essay, I pursue the idea of an ‘asynchronous smart city’ (as originally suggested by design researchers Julian Bleecker and Nicolas Nova), using the temporal framework of sociologist Barbara Adam. At stake, I argue, is to unbox what is presented as real-time mapping beyond the merely discursive level, and to develop ‘asynchronicity’ as an alternative heuristics to scrutinize the role of urban dashboards in governing today’s (smart) cities. Previous Post Interview Medialab Katowice about municipal data and public values Next Post The [urban interfaces] graduate seminar 2018-2019 "The Right to the City & Urban Commons"